Denon DJ Prime 4 – 4 channel standalone system announced! Holy DJ controller mic drop Batman! Denon DJ has been busy indeed, with the new Prime 4. Serato DJ Pro support coming soon! So it’s pretty obvious Denon DJ are firing shots with the Prime 4 over to the Pioneer XDJ-RR and XDJ-RX2 standalone camps, at an extremely desirable price tag (cheaper than an RX2 and arguably twice the amount of channels/USBs/features?). The touchscreen is beyond familiar to people who have seen the screen on sister company AKAI’s MPCX – the screen dominates the top of the unit with a gesture enabled multi-touch display gives an iPad like response with the abilities to swipe, scroll, pinch squeeze things – just like the SC5000, but bigger. The screen’s angle can be adjusted to suit, and you can pick different views to suit your style of playing and browsing. For the mobile DJ or someone with tonnes of music, viewing a large number of tracks at any one time is a desirable feature. This makes for easy access to the music collection so it’s a great combo. Although connecting a keyboard sounds gimmicky, it’s actually far more intuitive for those who are moving from laptop based setups. You could even get one with a matching colour scheme? Just saying. Anyway: Denon DJ has actually listened to the needs of the mobile jock with the Prime 4; the SATA bay underneath means media can’t go missing and serves as a great backup/archive utility. For example, you could use the USB or SD sockets, but use the SATA bay for recording your mixes onto, without any worry of overfilling the USB media. 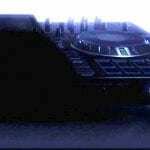 As a corporate and event DJ myself, there are some things I’ve considered ‘supreme luxury’ to have on an all-in-one controller. To this end, I’ve bought additional pieces of kit to perform these duties from mixers, lighting controllers and USB hubs. 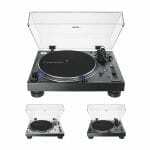 The Denon DJ Prime 4 eliminates a fair old chunk of these extra bits, thanks to an attention to making this a utility tool as well as a performance machine. It’s highly likely these features have been a result of mobile DJ research. I mean, It’s not dissimilar to the MC6000 and MCX8000 controllers where you can tell they thought hard about features we would actually need as mobile DJ’s. This such a big deal for us event guys – often we are told to chuck an iPod on a playlist in another room PA or run playlist to a reception area and the like. We get on and do it but once behind the decks in the main room we have no control unless physically running over to check. The Zone feature on the Prime 4 eliminates this with the ability to assign a playlist to a channel, then assign the channel exclusively to the zone output – consisting of a pair of fully balanced XLRs. Thanks to being assigned to a channel, you can adjust EQ, volume and gain to suit. A must these days – whether its a DJ-MC situation or speeches with a host. They both need independent EQ, volume adjusts and effect controls. Mic ducking/talkover is also a handy thing to have. The Prime 4 has all of these important features for microphone use. For those who aren’t very familiar to the Denon family, the Prime range of products (X1800 Mixer and SC5000 media players) have Denon DJ’s Engine software their full disposal for both playing out and preparing sets. This music management is pretty darn powerful, with the ability to import your entire collection from iTunes, Serato DJ Pro, Native Instruments’ Traktor Pro and Rekordbox. This includes your playlists, crates, folders, cue points and loop information within the tracks. The bonus ball is that the Prime 4 will analyse your music data internally, so you can read a waveform and set cues without a laptop in sight. The Prime 4 hosts 8 performance pads on each deck – these tactile pads are used for controlling your hot cues as well as loop rolls, slicer and Denon DJ’s advanced looping. Combine this with the advanced timestretch, you’ve got a standalone remixing club weapon! The timestretch algorithm means you can perform fully pitch locked mixes even when the speed of your track is extreme (I’m talking more than +/- 16%) and still sounds natural. You can also match and shift the harmonic musical keys whilst in the mix. When it comes to FX, the Prime 4 doesn’t disappoint. You get 13 built-in FX which can also be found in Denon DJ’s flagship X1800 mixer. The FX controls have dedicated displays making it easy to read and manipulate them whilst in the mix. There is also 4 dynamic FX and filter control which can be accessed at ‘fader level’ of the mixer section, on single rotary style control for quick and interesting transitions. There’s something that has niggled people when they come to buy a controller from team Denon in recent years. It’s the type of thing that once you see it, you can’t un-see it. What is it I hear you ask?……. It’s asymmetrical! 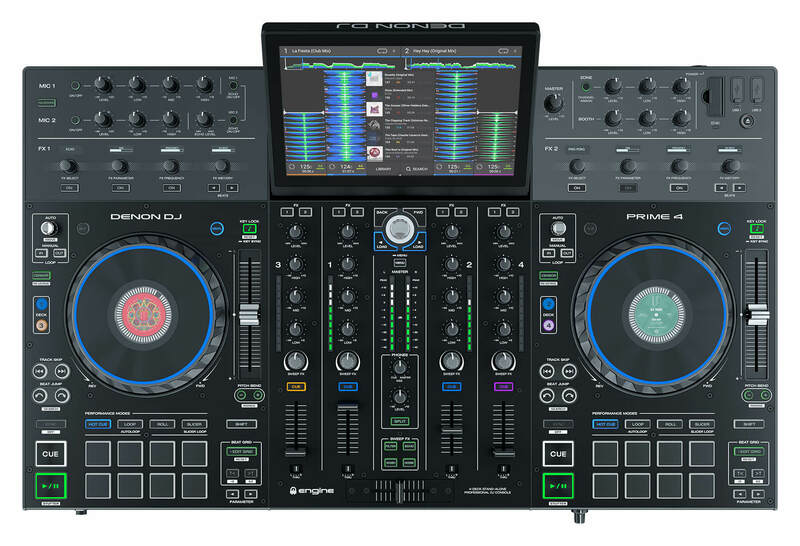 Previous controllers from Denon DJ (such as the MC7000 and MCX8000) featured a layout which mirrored on each side, resulting in the pitch fader placement being inverted as well as the play/cue buttons and the loop controls. The Prime 4 doesn’t ‘suffer’ with the issue of mis-hitting buttons due to their placement as the layout emulates having a pair of standalone decks each side of your mixer. (Still confused? Basically, you don’t get a left and right pair of SC5000M, you get a pair of the same!) Another thing to point out here is its physical size. Many would look at this vast array of features and the images and almost scoff at how bulky it is going to be…. The unit is only 9.7kg, dimensions are pretty similar to the XDJ-RX2 albeit 5cm or so deeper to accommodate the jumbotron screen. The Denon DJ Prime 4 is due to arrive in February or March April, priced at £1469 – click here to preorder. Is this controller missing anything? Drop us a comment below and let us know your thoughts.